The best point-and-click games are immersive, well-written, and well-designed enough to make even the most minimal interaction gripping. Simply moving a cursor across the screen, collecting items, and chatting to NPCs might not be everyone’s cup of tea, but that hasn’t stopped the point-and-click genre enjoying huge success in the past. Beneath a Steel Sky is a brilliantly-conceived cyberpunk adventure developed by Revolution Software. This might be from 1994, but its visuals are still impressive in their creativity and style, thanks in large part to legendary comic-book artist Dave Gibbons’ (Watchmen, Rogue Trooper) involvement. 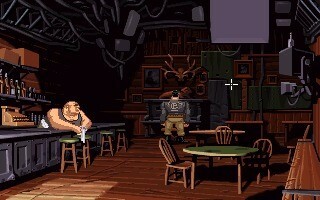 Gibbons illustrated the game’s backdrops and characters, giving the game a striking design that fans of his work should lap up. It’s a deep, fun, often funny game that’s well worth going back to well over 20 years later. 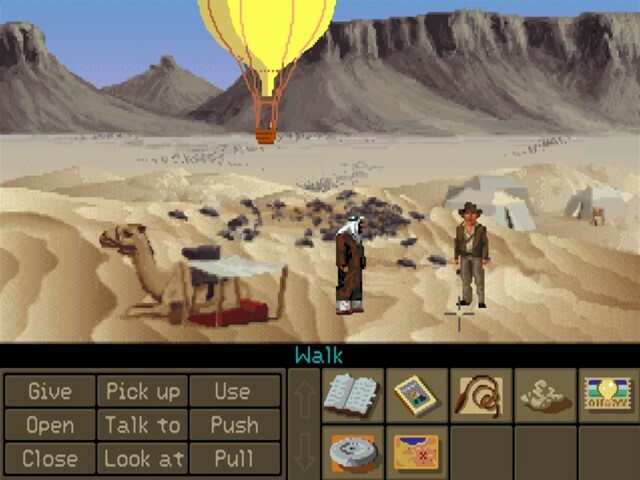 Broken Sword: The Shadow of the Templars was Revolution Software’s follow-up to Beneath a Steel Sky, released in 1996. 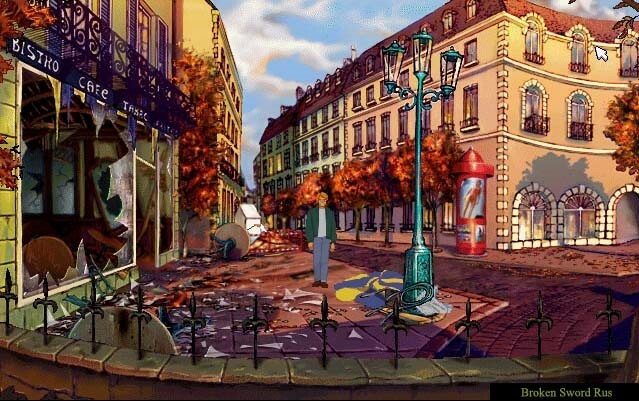 For gamers who had recently invested in a PlayStation, Broken Sword showed off the console’s power to great effect, with its fluid animated sequences and dynamic backgrounds. Unassuming hero George Stobbart is a joy to spend time with, as is French journalist Nicole, and the shadowy conspiracy at the plot’s heart keeps you gripped until the end. The Director’s Cut featured new puzzles, a notebook, hints, and more, as well as some fresh artwork from Dave Gibbons. Released by Lucasfilm Games waaay back in 1990, The Secret of Monkey Island is considered the quintessential point-and-click adventure by many. You’re cast as Guybrush Threepwood, who longs to be a pirate and ends up on a funny, colourful journey that became legendary amongst fans. 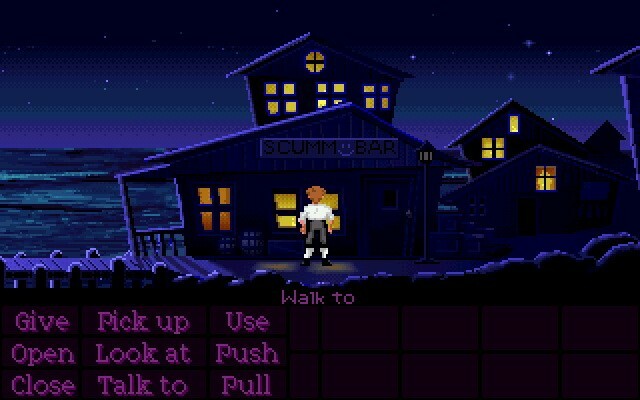 The game’s humour and outlandish characters help this stand out, and while it’s obviously aged (given that it’s close to 30 years old) The Secret of Monkey Island is a terrific example of just how much fun point-and-click games can be when done right. The game was remade in 2009, with enhanced visuals and a few tweaks, though some fans prefer the original. Monkey Island 2: LeChuck’s Revenge deserves special mention, too! That refined the gameplay a tad and added a new easier mode, making it more accessible for total newbies. Iconic Nazi-busting archaeologist Indiana Jones has starred in plenty of games, and this Atlantis-based adventure is widely considered one of the best. This was released in two formats. The original arrived in 1992, but a sequel appeared around a year afterwards (as a then-advanced CD-ROM) with voice-work and sounds enhancing the experience. Indiana Jones and the Fate of Atlantis also broke new ground in offering three different routes to follow, all of which affect how your story played out and which puzzles you face. One path (Team) sees Indy gain a partner, another (Wits) focuses on more difficult puzzles, and the last (Fists) has plenty of action / combat scenes. This gives the game far more replay value than some other point-and-click adventures, and reflects the different aspects of the character brilliantly. 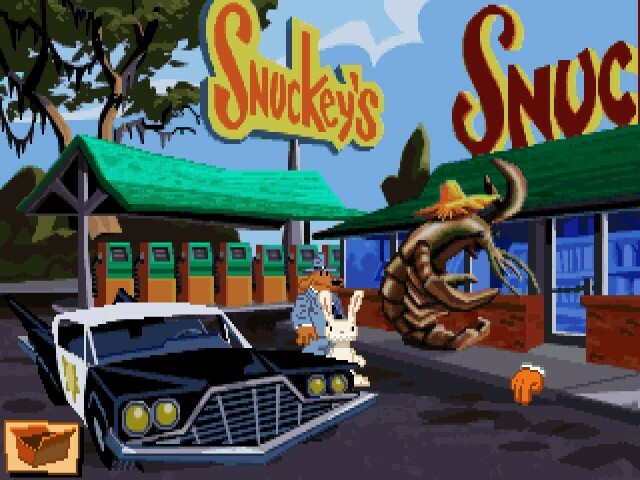 Sam & Max Hit the Road is another LucasArts game (there are more on this list, by the way! ), released back in the early 90s. It revolves around a crime-solving dog and rabbit (who first appeared in a comic-book of the late 80s), as they work on a case involving a misplaced bigfoot. It’s another funny point-and-click game that features terrific voice acting, and was actually one of the first titles to incorporate complete speech and music (something that would easily be taken for granted in later games). 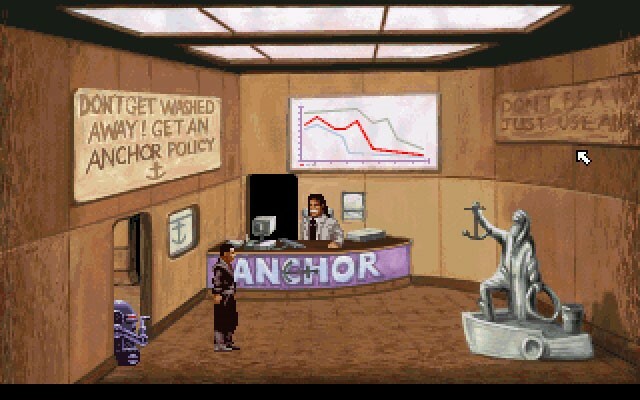 This unique point-and-click game was another LucasArts release, and it did a terrific job of combining two completely unrelated concepts: the Aztec afterlife and film noir. By embracing such an unusual concept so wholeheartedly, LucasArts managed to create an absolute classic which went on to develop a committed following (even though it massively underperformed commercially). 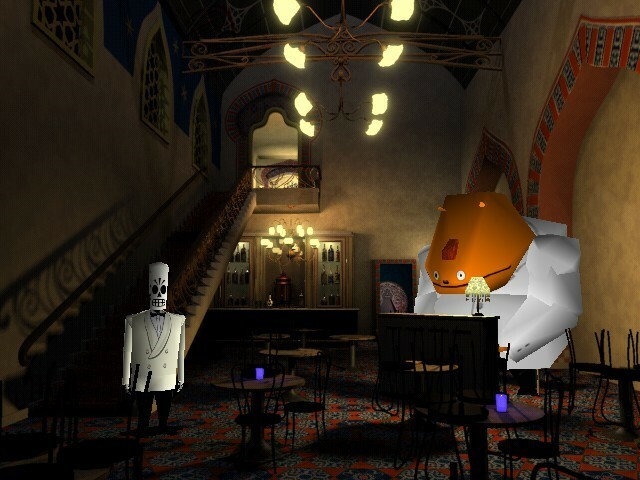 Grim Fandango sees you playing as a Department of Death travel agent in the Land of the Dead, and it’s a rich setting with plenty of interesting characters and puzzles. Grim Fandango has been released for mobile devices, so it’s never been more convenient to give this a go! Yet ANOTHER LucasArts game, Day of the Tentacle is a funny, inventive adventure filled with clever features. This is the sequel to the 1987 game Maniac Mansion, and follows three characters – Bernard, Laverne, and Hoagie – on a time-travelling quest to prevent the titular tentacle from taking over the world. Your characters can interact through time periods in simple but creative ways, such as swapping items through the ‘Chron-o-John’ toilets or leaving them in the past to be found in the future. Puzzles also make exceptional use of the time-based system, creating a unique flavour. It’s fair to say Day of the Tentacle is one of the most innovative point-and-click games ever made. Its sense of humour and B-movie style give it real personality too – no surprise, really, considering it’s a LucasArts release. Full Throttle was the first game to use recognised, professional actors for voice-work, including Mark Hamill (no stranger to voice-acting, having played an incredible Joker since the early 90s, not to mention countless other roles) and a soundtrack featuring licensed music. Even today, like the other games on this list, Full Throttle is gorgeous to look at and accessible, with a great script and a terrific setting. The FMV was stunning at the time, and the biker-centric plot gave it a distinctive tone that still stands out now. Like other LucasArts games, Full Throttle was remastered with updated graphics and sound, released earlier this year. 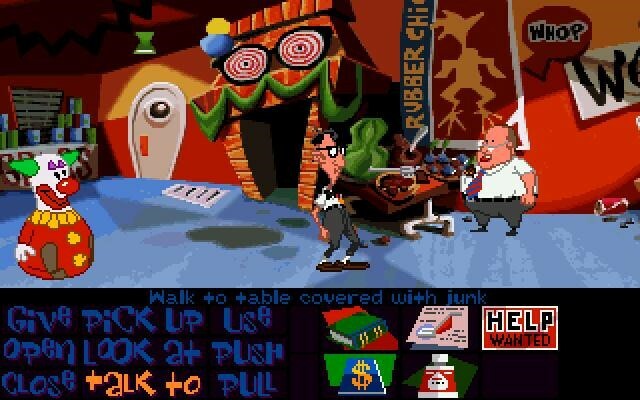 What’s your favourite retro point-and-click game, and what makes it so special? Let us know! What Do We Want to See in Shadow of the Tomb Raider?